Dianna is an associate at Michael A. Manna & Associates, representing clients on asset preservation, Wills, Trust and Estate law, and representing residential buyers and sellers. Since 2008, Dianna has served as the Chairperson of the Juvenile Committee Conference hearing cases and making disposition recommendations to the Family Division Judge. From 2007 to 2017, she served as a court appointed mediator for Hudson County courthouses. 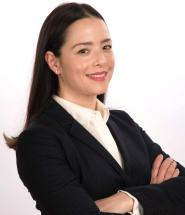 From 2013 to 2016, Dianna completed a legal externship with the NBA Coaches Association where she participated in the research and drafting of severance disputes, marketing and sponsorship opportunities, and speeches.